M3 Rock Festival will take place in Columbia, MD, U.S.A. on May 03-04, 2013. W.A.S.P., Kix and Twisted Sister are among the bands that will perform at the M3 Rock Festival 2013 festival. Rock Fest will be held in Cadott, Wisconsin, U.S.A. on July 14-17, 2011. 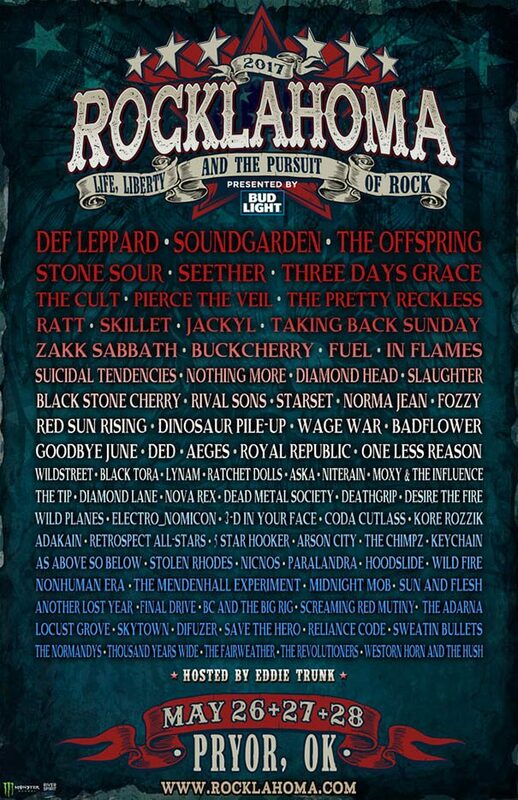 Rob Zombie, Kid Rock and Avenged Sevenfold are among the bands that will perform at the Rock Fest 2011 festival. Saxon, Armored Saint and Lita Ford are among the bands that will perform at the Rock Gone Wild festival, held in Algona, Iowa, U.S.A. on August 20-23, 2009.